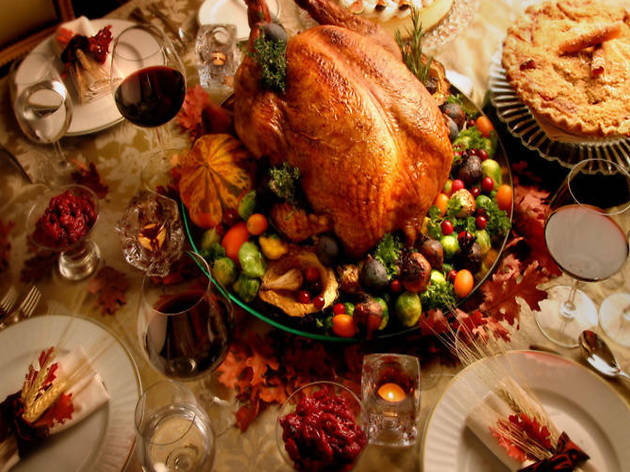 If you're sticking around for the holiday, it helps to know what's open on Thanksgiving day. 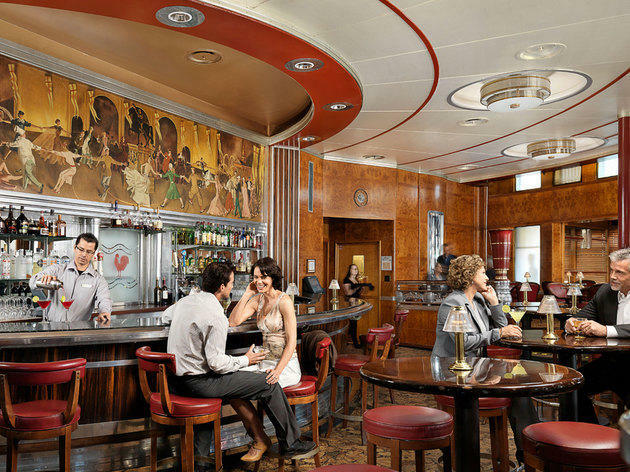 Whether you're looking for somewhere to spend the day solo, host a Friendsgiving activity or show family around—or maybe you're a visiting tourist who doesn't celebrate Thanksgiving at all—there are a surprising amount of options available to fill your day, from amusement parks to old-school L.A. attractions and even one of the city's best Korean spas. 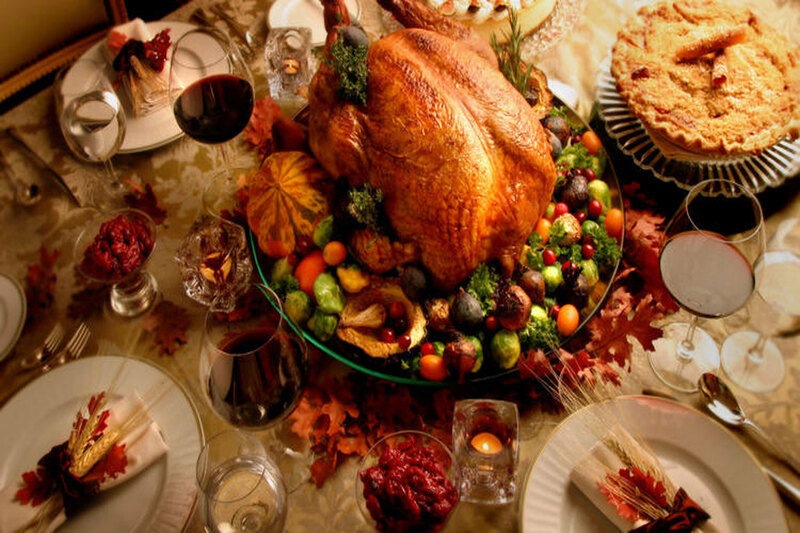 The list below offers a variety of options—kid-friendly, daytime and night, near and far—to either help celebrate Thanksgiving or feel miles away from it all. 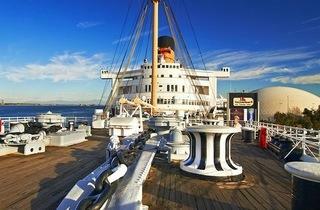 What's open on Thanksgiving day in L.A. The L.A. 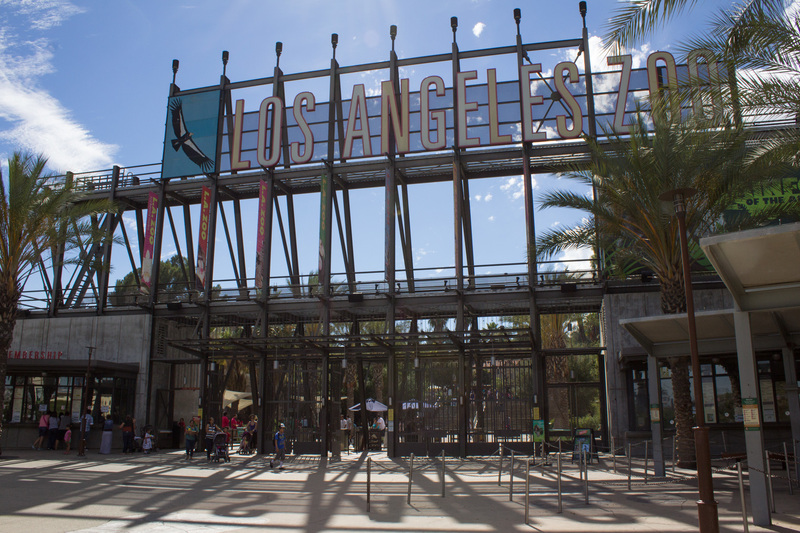 Zoo's greatest asset is its location, a lush oasis tucked into the hills of Griffith Park. It's a pretty popular place, but the zoo's size—133 acres, plus a huge parking lot—means it rarely feels busy. 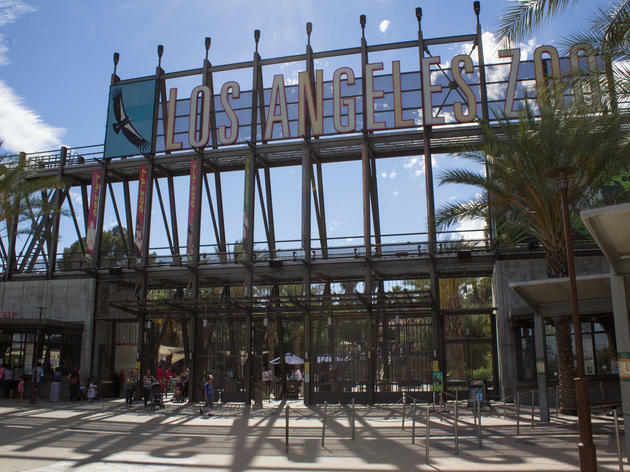 The zoo's highlights include Rainforest of the Americas, a riverbed to treetop trek; Elephants of Asia's large habitat and educational pathways; as well as the amphibian and reptile-filled Lair. Spot some newborn critters just past the gift shops and go for a ride on the beautifully painted Tom Mankiewicz Conservation Carousel. Though the Zoo doesn't have any Thanksgiving events planned, their Zoo Lights holiday program will already be in full swing. 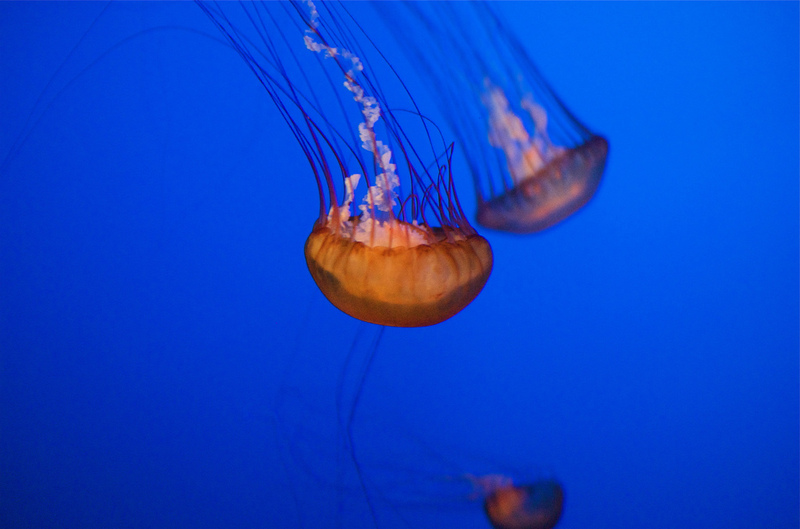 Dedicated as much to education as entertainment, this spectacular aquarium more than justifies the drive to Long Beach. Inevitably, the Shark Lagoon is the most popular exhibit. Other highlights include the low-key but fascinating Whales: Voices in the Sea. 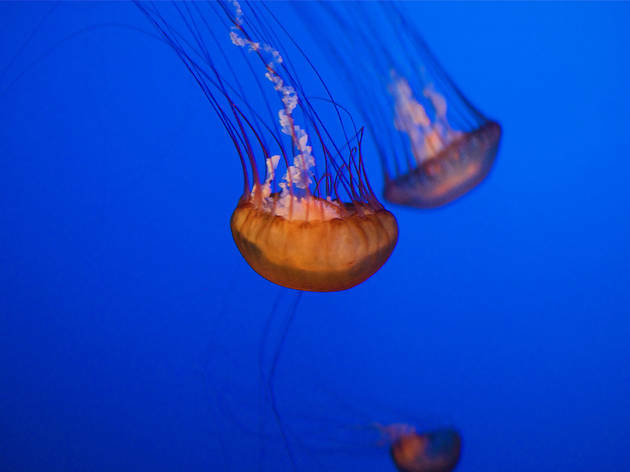 Much of the rest of the aquarium is divided geographically: loveable sea lions in the Southern California section, all kinds of garish fish in the Tropical Pacific area, a variety of exotic creatures in the new Gulf of California exhibit. The aquarium also offers a Thanksgiving lunch: from 11am to 3pm, you can enjoy an entire holiday menu ($55 for adults, $27.50 for kids 3-11) at the aquarium's Café Scuba. 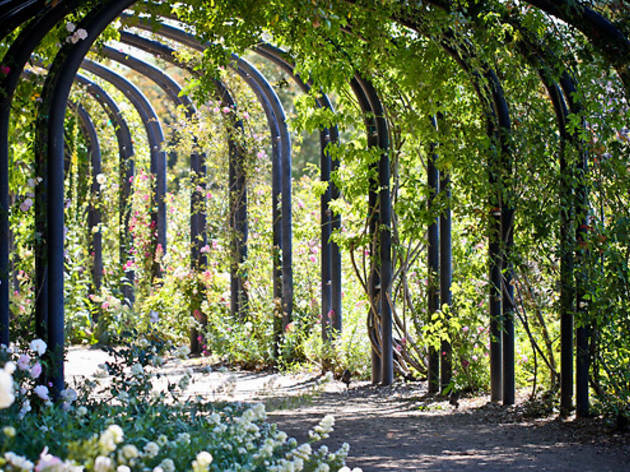 This delightful tribute to the horticultural magic of Southern California includes more than 600 varieties of camellias and some five acres of roses. There are also lilac, orchid, fern and California native plant areas, as well as a tea house donated by the Japanese-American community. 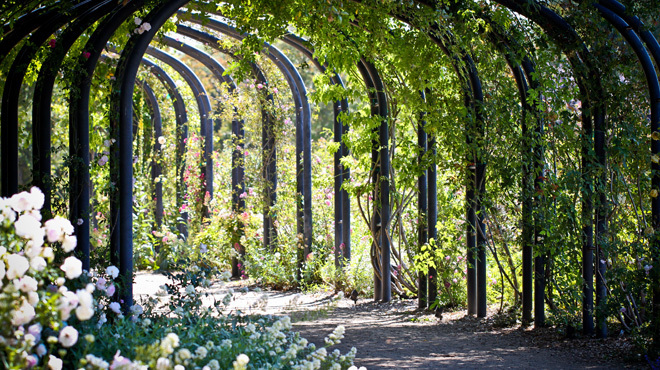 L.A.'s other impressive botanical garden, Huntington Library, is closed on Thanksgiving, making Descanso your only place to get a flora fix over the holidays. 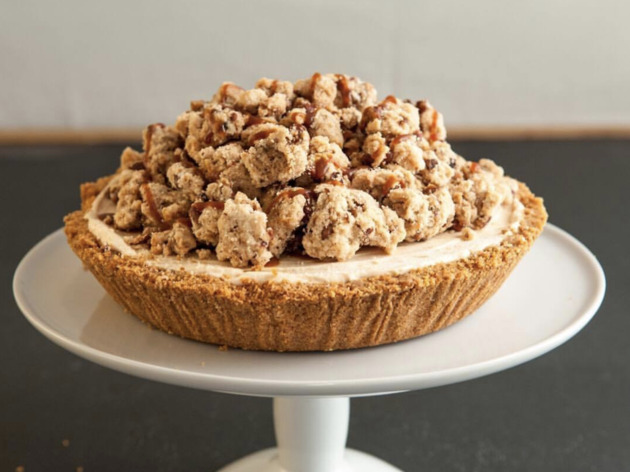 Plus, if you feel like feasting, you can find an impressive Thanksgiving Day brunch on the premises. 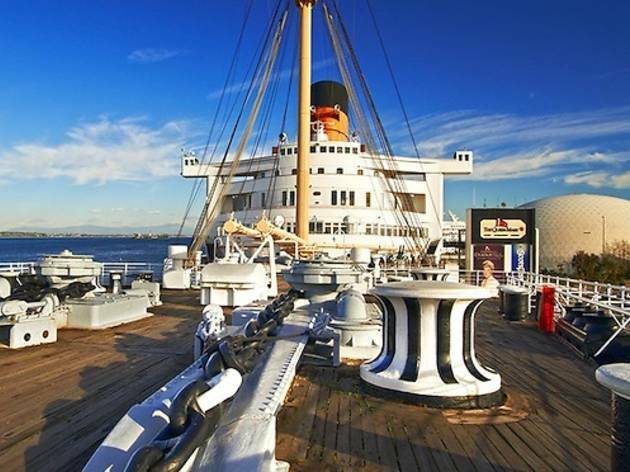 Cozy up—and make sure to bring your jacket—to the Queen Mary for a wintry evening on the water aboard one of the country's grandest cruise ships still afloat. 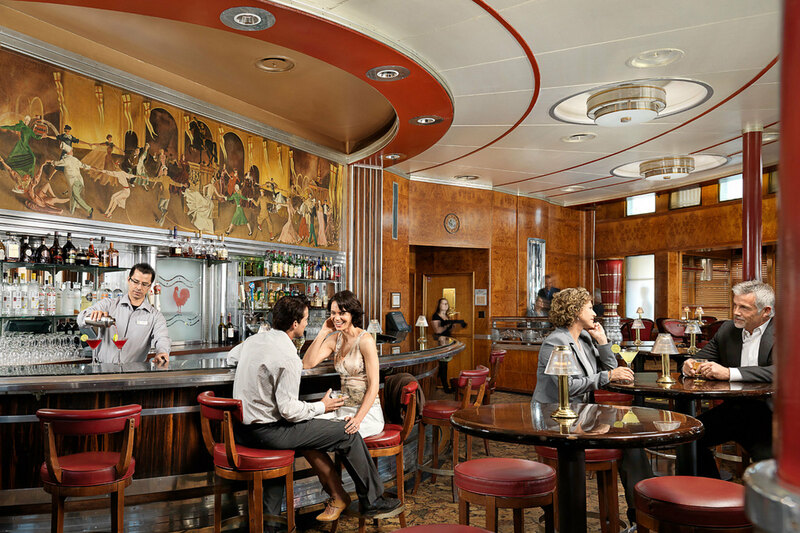 Take a tour of the historic cruise ship, then be sure to stop into one of the now-hotel's numerous specials and attractions, be it 50-dish champagne brunch or a dockside drink. 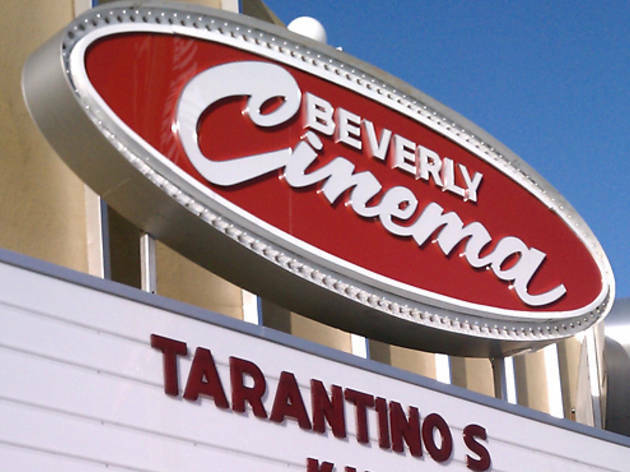 Cinephiles study their ABCs at this beloved movie theater, defined by its bargain prices, shabby charm and film-for-film's-sake attitude—not to mention that its owner is none other than Quentin Tarantino, making for an always-interesting bill. The Thanksgiving showing is the classic and Earth-saving Star Trek IV: The Voyage Home. 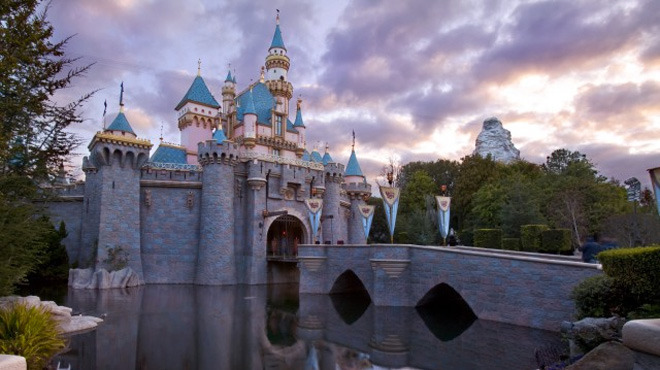 Make this Thanksgiving one to remember by spending it at the happiest place on earth. The longstanding Disneyland Resort isn't just a set of theme parks: it's a spectacular piece of pop art. 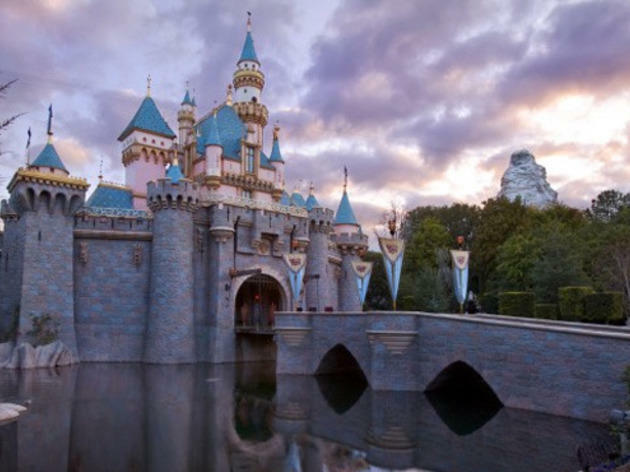 Incorporating two parks—the 60-year-old near-mythic Disneyland and the younger, less-celebrated Disney's California Adventure—Disney does all it can to get you in the right mood, and by Thanksgiving it will be decked out for the winter holidays, making it feel especially magical. 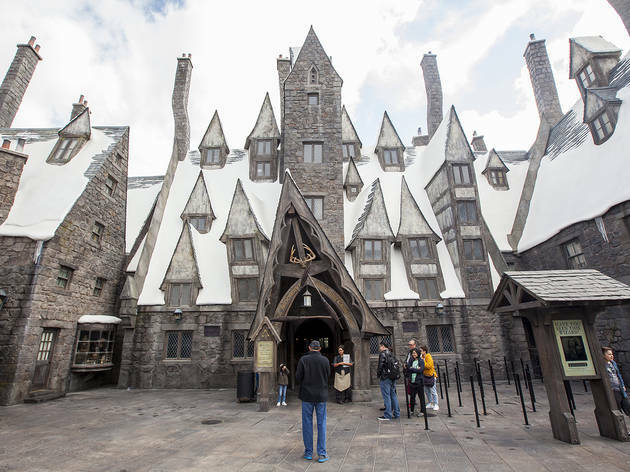 Use these tips and tricks to make the most of your visit, and FastPass your way on to as many of these top 25 rides as possible. Knott's Berry Farm started as a farm selling the homemade preserves—possibly cranberry!—of one Mrs. Cordelia Knott. Some charming remnants of the park's early years remain, most notably in the Ghost Town section, which contains a number of buildings that have been transplanted from old mining towns. The continued presence of Snoopy as the park's mascot is another gentle nod to tradition (and a perfect tie-in to Thanksgiving). 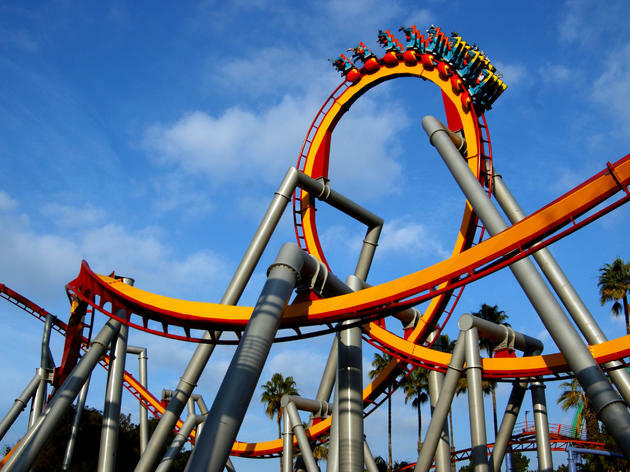 Ultimately, though, the thrill-seekers win out over the sentimentalists thanks to a number of water rides, the stomach-churning Xcelerator and Montezooma's Revenge, and two new roller coasters: the Sierra Sidewinder and the Pony Express. 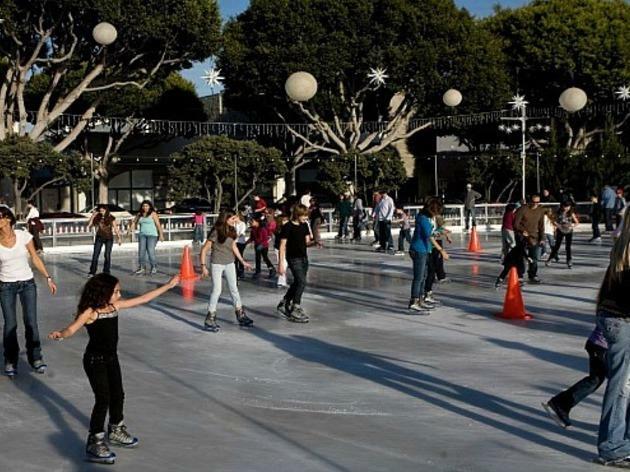 L.A. doesn't typically seem like much of a winter wonderland come Thanksgiving time, until, that is, you create an ice skating rink right in the midst of Downtown skyscrapers and L.A. icons. 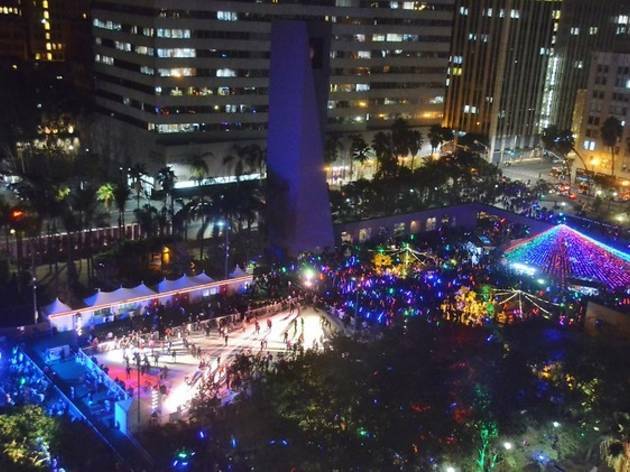 Come glide and pretend there's snow on the ground at Pershing Square's outdoor holiday skating rink—one of the biggest in the city. 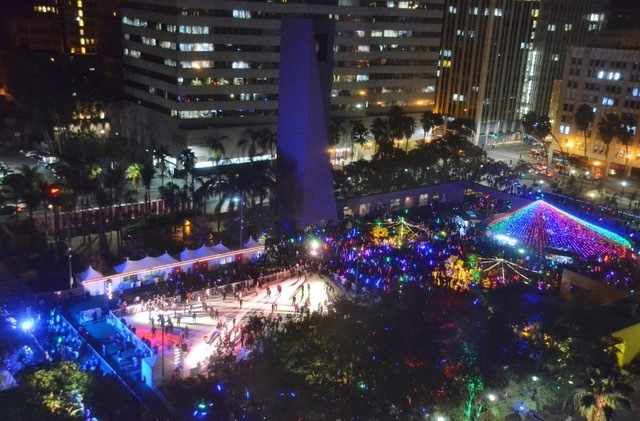 Look out for special events throughout the season, like curling lessons, a silent disco skate and DJ nights. 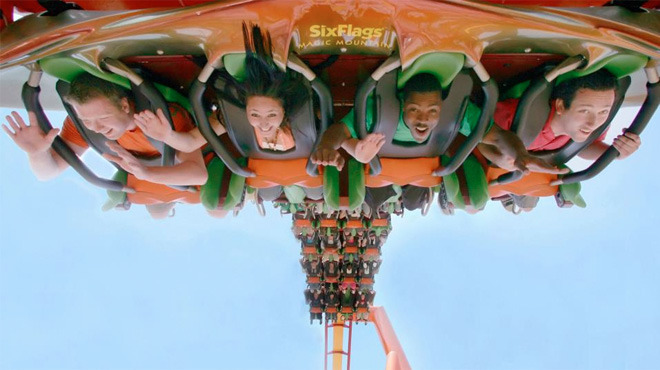 Comprising Magic Mountain and water-cousin Hurricane Harbor (which won't be open on Thanksgiving), Six Flags delivers thrills for all but the most joyless and crowdphobic holidaymakers. 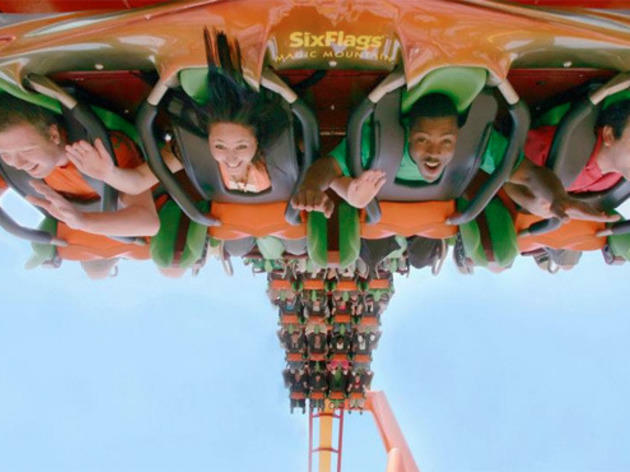 The park offers roller coasters for every level of screamer: While there are some gentle rides here, the park is most famous for the ones that'll push your heart into your mouth and your lunch onto the person sitting in front of you. It's a raucous place, both on the rides and off them (if you've got very young kids in tow, Disneyland and Universal Studios are both better bets). Perhaps the most terrifying of all the park's rides is the Riddler's Revenge, the record-setting tallest, longest and fastest stand-up roller coaster. Happily, there are a number of activities suitable for riders of a nervous disposition, among them the gentler-than-it-sounds Canyon Blaster and the Log Jammer flume ride. 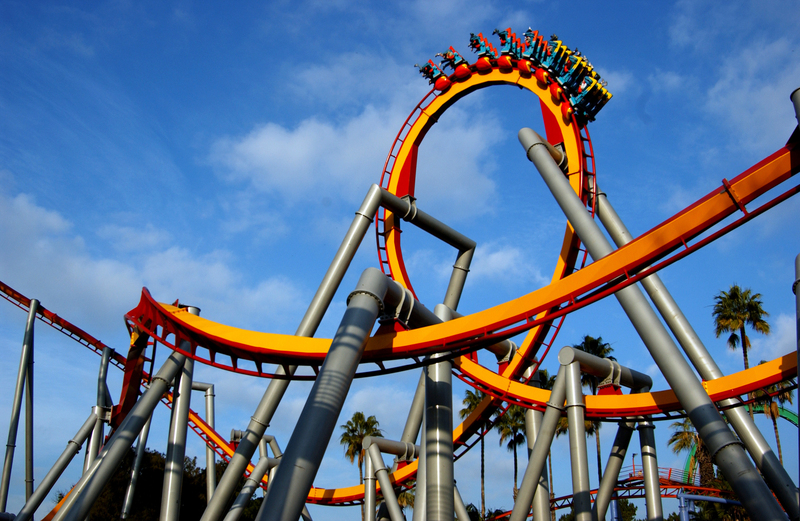 Though the rides lack both Disneyland's charm and the sheer terror inspired by Six Flags Magic Mountain, Universal Studios Hollywood's hillside theme park offers some worthwhile thrills fueled by silver-screen memories. The Transformers ride is a slick crash course in Michael Bay robot carnage, and easily the best experience in the park from start to finish. And though Jurassic Park: The Ride isn't quite the magical adventure you remembered it to be as a kid, it's still worth the plunge. 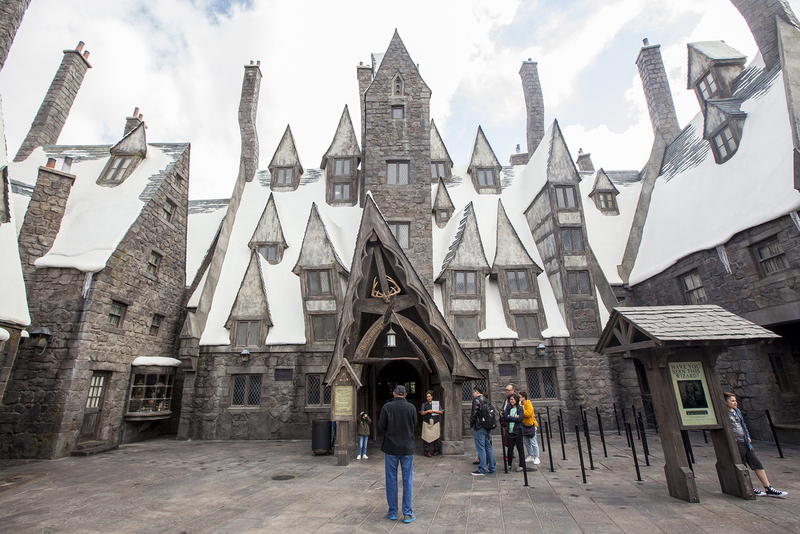 Kids will appreciate Minion Mayhem and the adjacent Super Silly Fun Land, as well as the Wizarding World of Harry Potter, which adults will revel in as well. The immersive Simpsons Ride, on the other hand, is a clever and wildly entertaining—albeit highly nauseating—attraction. The restaurant-filled Springfield nails its Simpsons references but comes up short with its food offerings in terms of price and taste—so don't expect a Thanksgiving feast here, just some not-so-cheap thrills and Duff beer. This Sunset Strip staple is where Dave Chappelle and Dane Cook once had a competition to see who could perform the longest. It's where an audience member captured Michael Richards and his racist rant on video. It’s the home of Kevin Nealon's weekly talk show. 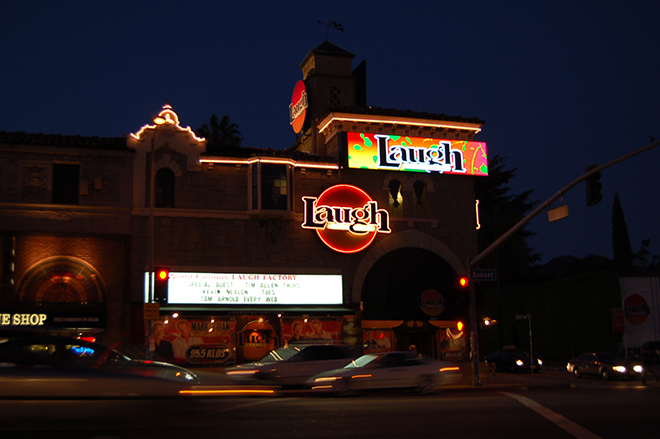 In a nutshell, the Laugh Factory is where to bring visitors if they want to see comedy celebrities—its round glowing orange sign is an iconic image synonymous with L.A. comedy. On Thanksgiving, the Factory hosts an annual free Thanksgiving Feast that's open to anyone—the visiting, the hungry, the homeless—and served by comics and other celebs, who also perform sets throughout the afternoon. 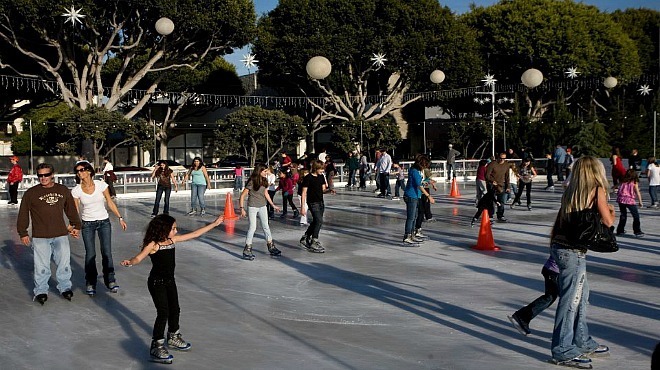 Located just minutes from the Pacific Ocean, ICE in downtown Santa Monica (1324 5th St at Arizona) is a full-service 8,000-square-foot outdoor rink. Watch broomball games, take up skating lessons or host a party at the rink and get your own private cabana. For $15, rent skates and strut your stuff on the ice alongside children and adults. No need to pack snacks; there's a concession stand onsite serving hot cocoa and kid-friendly bites. For the little ones, visit the Tot Spot, an enclosed rink for those aged six and under. The rink is open from early November through Martin Luther King Day, and from 10am to 10pm on Thanksgiving Day. We can't think of a better way to spend a traditionally stressful holiday than luxuriating away from the hustle and bustle, tucked away in the relaxing embrace of clay and steam. There are Korean spas—a classic L.A. experience—and then there's Wi. 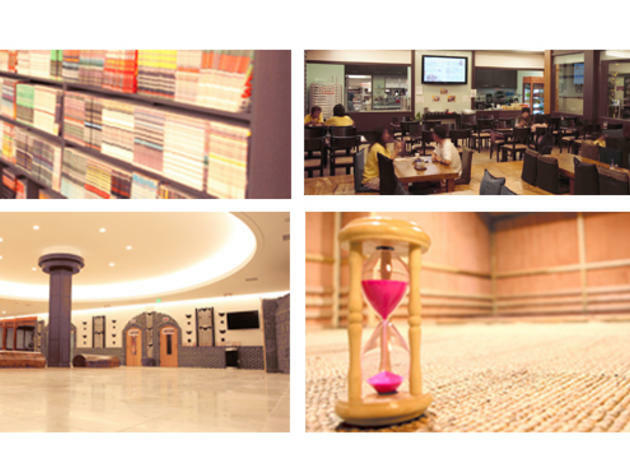 The 24-hour mega spa offers treatment rooms; five different heated saunas including jade, clay and salt; hot tubs; dry and steam saunas; a TV lounge area; a restaurant; library and sleeping rooms. 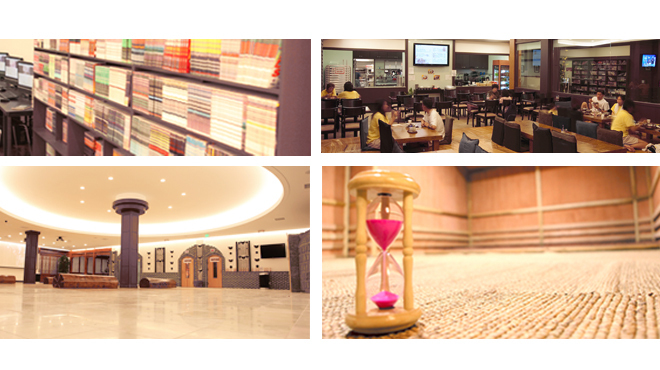 Couples and groups laze (and sweat) in the co-ed jimjilbang—the dress code is oversized T-shirts and khaki shorts—before heading into separate men and women's areas where clothing is not allowed and a body scrub is a must-do for baby-soft skin. 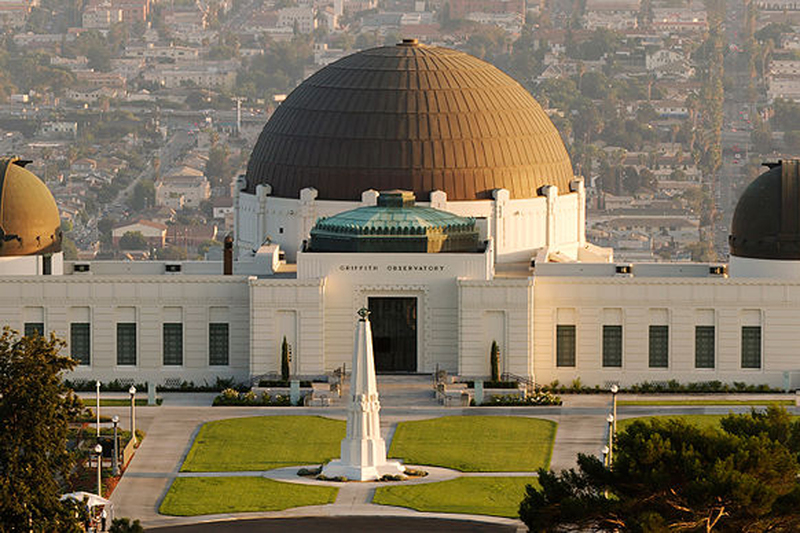 Okay, so the museum is technically closed on Thanksgiving Day, but our favorite part about Griffith Observatory is climbing to the rooftop and taking in the views, which you'll still be able to do. 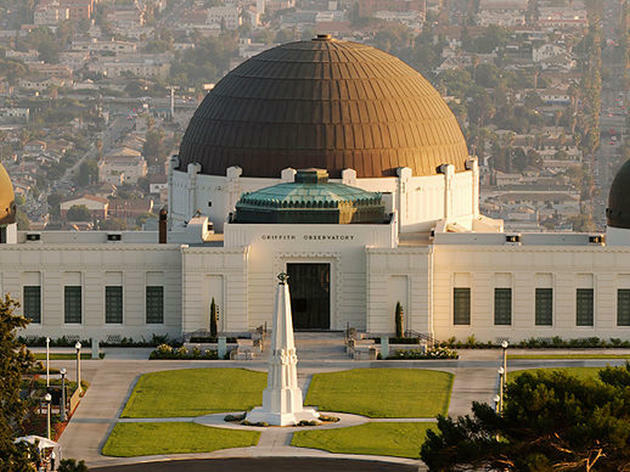 The star attraction here has always been the building itself and the view it affords of the cityscape, the hills of Griffith Park and the famed Hollywood sign. 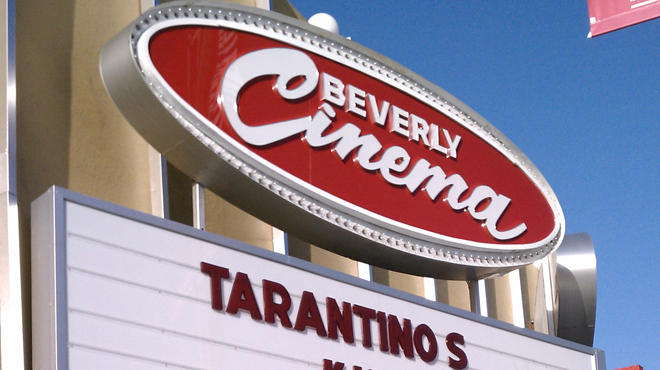 Famous for its appearances in movies both acclaimed (Rebel Without a Cause, La La Land) and disdained (Lawnmower Man 2: Beyond Cyberspace), this longtime Los Angeles icon is one of the city's must-see attractions, and a perfect place to watch the sun set over another Thanksgiving. 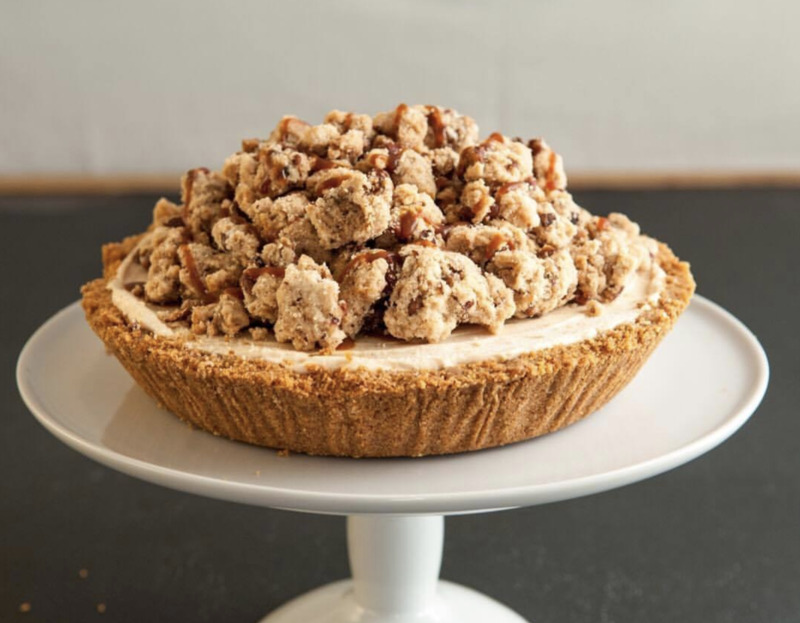 This year, celebrate without the hassle of DIY cooking and cleaning by dining at one of L.A.'s Thanksgiving restaurants for brunch, lunch or dinner on Thanksgiving Day.